right time,"; scholar and critic Sheila Agnes Egoff raised the stature and critical awareness of children's literature in Canada more than any children's librarian in the country. Consequently the B.C. Book Prize for Children's Literature was named after her in 1987. Born in Maine in 1918 and raised in Galt, Ontario, Egoff started working at the Galt Public Library at age 15, for 25 cents an hour. In 1964, Egoff was commissioned by the Children's Recreational Reading Council of Ontario to write The Republic of Childhood (1967), the first major critical survey of Canadian children's literature. It was updated and co-authored with Judith Saltman for a third edition as The New Republic of Childhood (1990). As Canada's pre-eminent promoter of children's literature, Egoff wrote two other major critical works, Thursday's Child (1981) and Worlds Within: Children's Fantasy from the Middle Ages to Today (1988). Sheila A. Egoff (she insisted on including the middle initial) died in Vancouver in 2005. Her memoir Once Upon a Time: My Life with Children's Books (2005), appeared posthumously, compiled with the partnership of Wendy Sutton. Her students included award-winning writers of children's books, Kit Pearson and Sarah Ellis. Egoff once told her protégé, Judith Saltman, "Writing is the only thing that lasts. "; Saltman has followed in her mentor's footsteps in 2010, co-authoring with Gail Edwards the first comprehensive guide to illustrated Canadian children's books. Born in Maine on January 20, 1918, and raised in Galt, Ontario, Egoff started working at the Galt Public Library at age fifteen, for 25 cents an hour, having discovered it was a marvelous place at age eight. In 1942, she began working in the children's department at the Toronto Public Library. She worked for four years as a reference librarian and editor for the Canadian Library Association. Moving west in 1962, she became a founding faculty member at UBC's Library School, and was the first faculty member to teach children's librarianship and children's literature fulltime. In 1964, Egoff was commissioned by the Children's Recreational Reading Council of Ontario to write The Republic of Childhood (1967), the first major critical survey of Canadian children's literature. It was updated and co-authored with Judith Saltman for a third edition as The New Republic of Childhood in 1990. She wrote two other major critical works on children's literature, Thursday's Child (1981) and Worlds Within (1988). In 1998 she co-compiled Books That Shaped Our Minds: A Bibliographical Catalogue of Selections Chiefly from the Arkley Collection of Early & Historical Children's Literature in the Special Collections and University Archives Division (UBC, 1998). 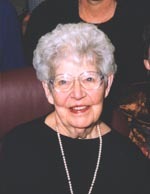 Sheila Agnes Egoff, Officer of the Order of Canada, died on May 22, 2005 in her 88th year at Vancouver B.C. Her multiple careers as children's librarian, professor of children's literature, and critic and advocate of children's literature had a profound impact on the development of academic teaching and criticism of children's literature, on the growth of Canadian publishing for children, and on Canadian public library service to children. Born in 1918 in Auburn, Maine, she grew up in Galt (now Cambridge) Ontario. Sheila's childhood in rural Ontario was marked by avid public library use and exposure to the children's books of the early years of the twentieth century. Her lifelong career as a scholar and critic of children's literature, and pre-eminent promoter of Canadian children's literature in particular, began at the Galt Public Library. After graduating from the University of Toronto and qualifying as a librarian at the University of London (England), she worked at the Children's Room of the Toronto Public Library. As a children's librarian in the internationally renowned children's library service of the Toronto Public Library, Sheila Egoff was a disciple of Lillian Smith, a towering figure in early children's librarianship and a pioneer critic of children's literature. Sheila learned her philosophies of quality library service and stringent evaluation of children's literature under Smith. Sheila was instrumental in bringing the famed British Osborne Collection of Early Children's Books to the Toronto Public Library and was that collection's first curator. Her experience in serving the reading needs of contemporary children was balanced with learning about four centuries of writing, publishing, and illustrating books for children. After a short period on the staff of the Canadian Library Association, Sheila was recruited to join the faculty of the School of Librarianship at the University of British Columbia soon after its establishment in 1961. She was the first full-time tenured professor of children's literature at a Canadian university. Her impassioned and scholarly teaching of children's literature and children's library services formed and influenced a generation of children's librarians. On her retirement as Professor Emerita in 1983, she had sent a generation of enthusiastic promoters of children's books and reading from Vancouver to libraries across Canada, the United States, Japan, and elsewhere. They applied her rigorous message "only the best is good enough for children"; by writing children's books, storytelling, practicing and administering children's services in public and school libraries, and contributing to the cultural life of their communities. Sheila Egoff was the first critic of children's literature from Canada to be recognized internationally. Her contribution to children's literature scholarship is broad ranging, involving many interests and approaches, from Canadian and international children's literature to scholarly bibliography of early and rare children's book collections. Sheila has written seminal works of children's literature scholarship for over fifty years, beginning in the 1950s, a time when little serious scholarship was available, and children's literature was not respected in the academy. Through her teaching, advocacy, and scholarship, she was one of the early ground-breaking academics and critics who worked to bring the present acceptance and recognition of children's literature as a legitimate scholarly discipline into being. She became the first critic of Canadian children's literature with her groundbreaking 1967 The Republic of Childhood: A Critical Guide to Canadian Children's Literature in English, the first monograph on the subject. Two further editions followed in 1976 and 1990. Her advocacy for quality international standards in the beginning years of Canadian children's literature and publishing in the 1960s and 1970s had a profound influence on the development of this country's literature for children. She worked closely with other 1960s and 1970s advocates of Canadian children's literature and publishing for children, such as William Toye, Oxford University Press' editorial director. 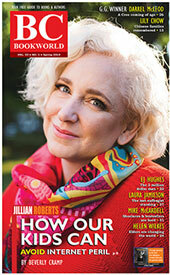 She advocated tirelessly for a children's literature division at the National Library of Canada. Her historical and bibliographic work is meticulous, combining book history and literary analysis with historical, analytical and descriptive bibliography. It includes Children's Periodicals of the 19th Century and two annotated catalogues of holdings in the Arkley Collection of Early and Historical Children's Literature which she attracted to the University of British Columbia Library. She received numerous awards for her critical writing on children's literature. Her literary analysis of contemporary international children's literature, Thursday's Child, won the Ralph R. Shaw American Library Association Award for library literature. As the chief editor of three editions of Only Connect: Readings on Children's Literature, Egoff established this resource of critical essays on children's literature as a respected and fundamental choice in courses in children's literature world-wide. Her study of fantasy, Worlds Within: Children's Fantasy from the Middle Ages to Today, is an important source in its field. Sheila's high regard in the children's literature community was evident in the many honorary lectureships and awards she received. She was the first Canadian appointed as a judge for the international Hans Christian Andersen Awards for children's literature. As a highly admired lecturer, she gave speeches in Japan, Australia, throughout Canada, and the United States, including an Arbuthnot Lecture and a Library of Congress Children's Book Week Lecture. Professor Egoff was honoured for her inspiring teaching of children's literature, winning awards and honorary doctorates from three Canadian universities, the University of Victoria, the University of New Brunswick and the University of Alberta. She received the University of Utah's 5th Landau Award for Excellence in Teaching Children's and Young Adult Literature in 1983. The American Library Association Ralph R. Shaw Award for Library Literature was awarded to her book Thursday's Child in 1982. She was the only children's literature professor to be honoured as an Officer of the Order of Canada. Other public honours include the International Board on Books for Young People's Claude Aubry Award, The Alberta Provincial Council of the International Reading Association's Award, and awards from The University of Toronto and Canadian Library Association, among others. In 1983 a symposium on Canadian children's literature was held in Vancouver to honour her scholarship and teaching. It included international speakers such as Ethel Heins, editor at the time of The Horn Book Magazine. In the 1980s, the British Columbia Book Prizes established an annual award for children's literature which bears her name. Sheila developed the first Pacific Rim Conference on Children's Literature, at the University of British Columbia in 1976, one of the first children's literature conferences held in Canada and one of the first international conferences to include Pacific Rim conference speakers. The conference continues to this day as an internationally noted children's literature conference. Professor Sheila Egoff's graduates include two Governor General award-winning writers of children's books, Kit Pearson and Sarah Ellis, and other writers of children's books. Those who studied with Sheila became, in their turn, mentors for another generation of children's writers and librarians, teaching at universities and writing critically on children's literature. Sheila Egoff was the first cartographer of Canadian children's literature, the first full-time, tenured teacher of children's literature at a Canadian university, and a life-long advocate of quality children's literature and library services for children. Her influence on the writing, publishing, and criticism of Canadian and international children's literature and children's librarianship has been felt across the children's literature community for over fifty years. Upon her retirement in 1983, Egoff had developed five graduate courses in children's literature and library services. Her early achievements in this program had an influence two decades later in the founding of Canada's first multidisciplinary Master of Arts in Children's Literature program at the University of British Columbia. Professor Egoff's life commitment to children's literature continued unabated until the months leading up to her death. Retirement did not stop the flow. Following her retirement, she published six books on children's literature. In 2004 Sheila received the Anne Devereaux Jordan Award from the Children's Literature Association for her lifetime contributions to the field of children's literature as a librarian, teacher and scholar. A mere month before her death, despite health difficulties and blindness, she completed her final book, My Life with Children's Books which will be published posthumously in the fall of 2005. Sheila possessed a gift of friendship. She was a great hostess whose parties were legendary. Her colleagues and students remained her life-long friends, taking delight in her warmth, generosity, and wit. The children's librarians and teacher-librarians, teachers and academics, and writers, illustrators and publishers whose work and lives were touched by her vision and presence remember her with gratitude and praise. Sheila was predeceased by her brother George and sister-in-law Lou Egoff and is survived by her three nephews, Brian, Christopher and John and her great-niece and nephew. In Once Upon a Time: My Life with Children's Books, Sheila Egoff tells the story of her working life, from her early voracious reading, through all her significant contributions to libraries in Canada and to our national understanding of our own literature for children. She brings both a critical eye and a personal touch to this book, which reads as a memoir and as an account of important developments in Canadian writing and librarianship. In this time of cuts to budgets for books and for librarians, there is much here to reflect upon. Sheila Egoff discovered the public library in her hometown of Galt, Ontario at age eight, almost eighty years ago. Her love of books led to a life devoted to the promotion of children's literature and librarianship. Sheila was the first curator of the famous Osborne Collection of Early Children's Books, which she was also partly responsible for bringing to Canada. In 1962, she moved west to help set up the library school at the University of British Columbia. Many of today's children's librarians credit Sheila with instilling in them a philosophy of librarianship that values literary quality and bringing books to each and every child. Sheila is the author of several important books about Canadian children's literature. She passed away in May 2005. Wendy Sutton taught for many years in the Faculty of Education at UBC. She is the co-chair of the Vancouver Children's Literature Roundtable and is an authority on children's literature, especially picture books. She co-authored Only Connect: Readings on Children's Literature with Sheila Egoff and The Gift of Reading with David Bouchard.